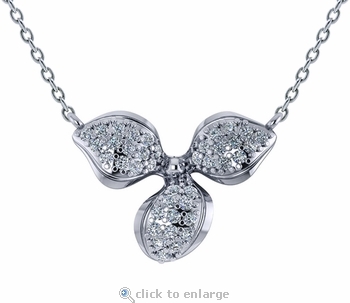 The Flower Petal Pave Set Cubic Zirconia Pendant Necklace has a realistic flower petal like design that is adorned with pave set round cubic zirconia. 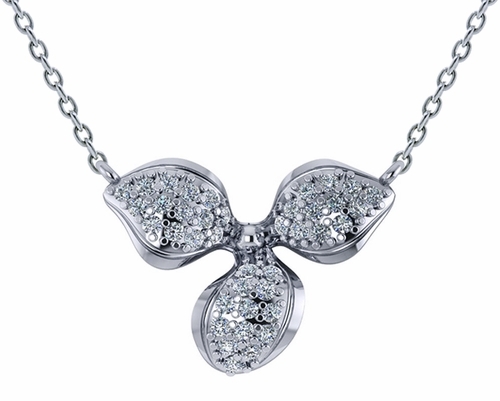 The pendant measures over 20mm in length and approximately 16mm in height with approximately .60 carats in total carat weight of the finest hand cut and hand polished original Russian formula cubic zirconia. 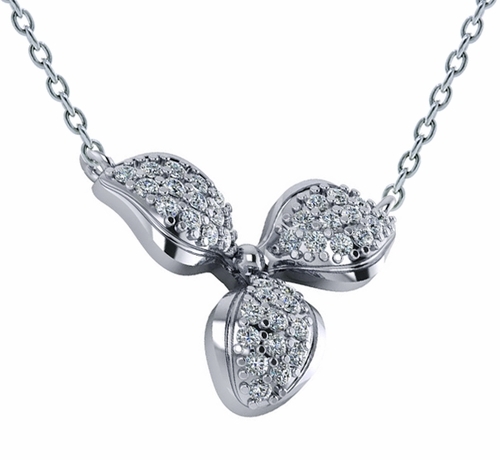 Choose from your choice of 14k white gold or 14k yellow gold with a 16 inch fine rope chain. An 18 inch chain length upgrade is also offered. For further assistance, please contact us directly at 1-866-942-6663 or visit us via live chat and speak with a knowledgeable representative.